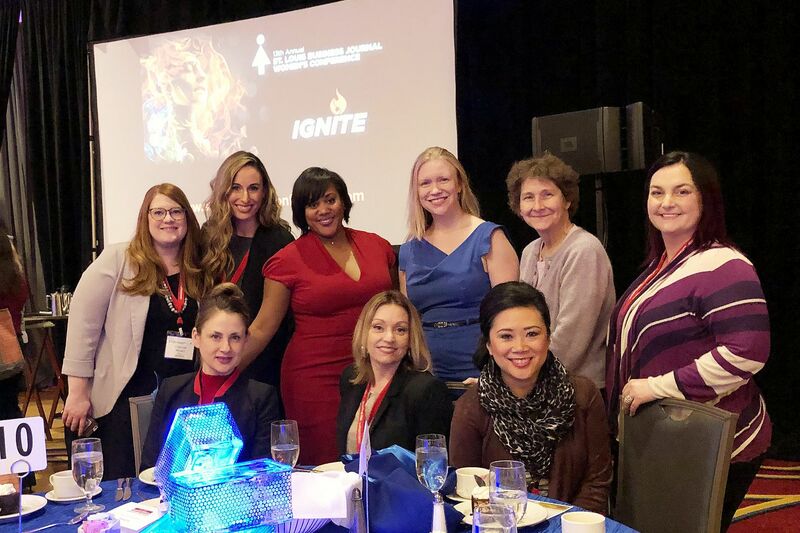 While I was in Florida earlier this month, I got an email from my boss asking if I wanted to attend this local women's conference hosted by the St. Louis Business Journal. 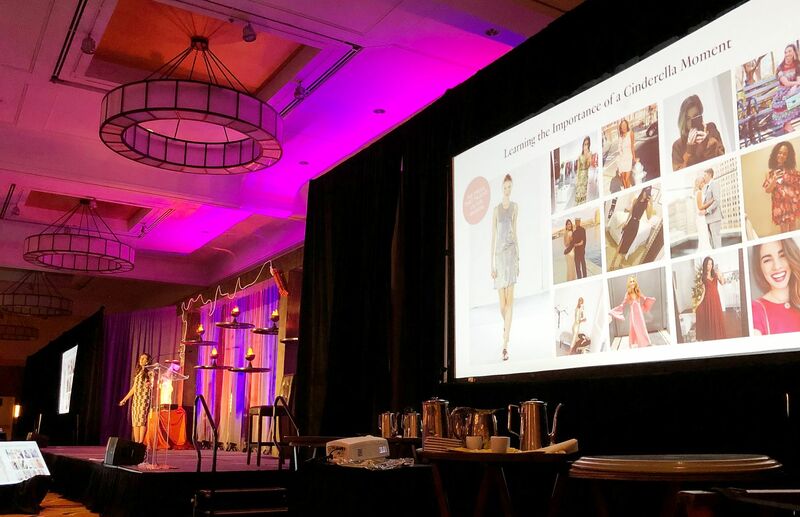 I always enjoy going to things like this, but when I saw that the keynote speaker was Jennifer Hyman, the co-founder of Rent the Runway, I was extra excited to say yes! The prettiest dress I have ever worn (pictured above) was thanks to Rent the Runway, and I was interested in hearing the background about the company in addition to that good ole empowering woman hoopla. I wanted to blog about her talk because I thoroughly enjoyed it! I will say that this post is based on a few notes I took and just my memory. So, if I've gotten a few of the details wrong, forgive me. But I will do my best to share what I know and remember! First, what I wore. Historically, conferences like this involve a lot of walking, so I wore my Cole Haan booties, which are my go to for travel or any other time I know I will be doing a lot of walking. They are so super soft and the stacked wood heel makes these more comfy than even wearing flats. Seriously. 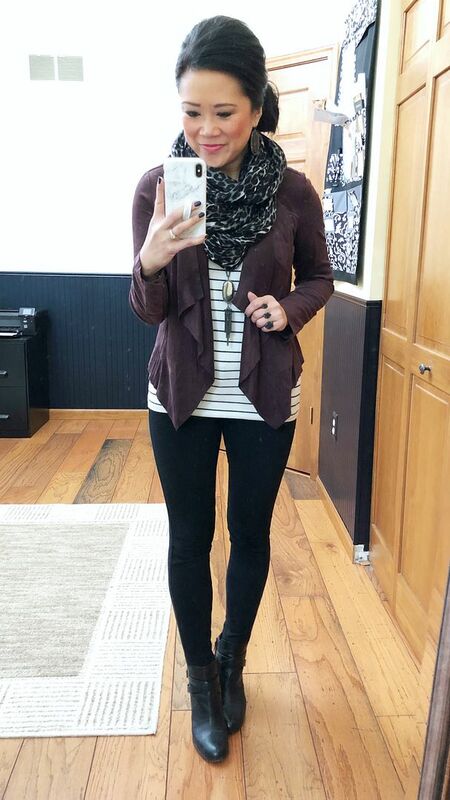 I wanted to dress in light layers since the temps are always so unpredictable. And I never have to worry about wrinkles with my ponte knit pants. There was a big mix of the business casual spectrum here, and I fell somewhere in between. I was satisfied with my outfit choice for sure. Ok, so onto the conference. It was held at Union Station which is the same place that St. Louis Fashion Week is normally held, so it was nice that I was already familiar with the venue. Jennifer wasn't speaking to us until lunch, and we had two breakout sessions to attend in the morning and then one more in the afternoon after lunch. They gave us 3 topics to choose from for each of those breakout sessions. The first one I attended was about behavioral science, the second about time management, and the third about negotiating. Jennifer's talk was mainly focused on how Rent the Runway began. She said that her sister had paid an ungodly amount of money on a dress for a wedding despite having 4872376 other dresses already in her closet. She clearly didn't have any emotional attachment to the new dress she just bought, she was more concerned about being photographed in something new that no one else had already seen her in. Fast forward to a lunch that Jennifer had with her friend, Jennifer Fleiss where she nonchalantly pitched the idea of starting a business that would allow women to rent designer dresses for special occasions. Her friend was down with the idea and asked who the best person would be to talk to about getting started. Jennifer replied, "Diane von Furstenberg!" Her friend asked if she knew DVF and she did not. She just figured, if you're going to start a business renting dresses, why not try and seek out the queen of designer dresses? Jennifer said that it's pretty easy to figure out what people's email addresses are and she tried several combinations like diane at dvf dot com and diane1 at dvf dot com, and miraculously one of those emails actually worked. Either Diane herself or her assistant replied setting up a meeting with Jennifer for the following day. CAN YOU IMAGINE?! She knew nothing about the fashion industry and she was about to have a meeting with DVF. I seriously cannot even. After only about 5-10 minutes into their meeting, Diane said she basically hated the idea, but rather than feeling defeated, Jennifer decided to make the most of her time and the opportunity to speak to DVF that she began asking her questions. After all, who doesn't like talking about themselves? The meeting turned out to be 2 hours long and ended with Diane agreeing to introduce Jennifer to a couple of other contacts. Those contacts ended up leading to other contacts and so on, and that is where her networking started. She said the one thing she learned is that you can often times learn more from the junior level people than the super senior, famous people, so don't discount your sources or someone's net worth just because of their title. Why not make friends with the people who are in the trenches of the business every day? Once their business plan was finalized, they ran three proof of concept tests. They bought a slew of designer dresses - in their sizes in case everything went south! (At least they'd have a nice wardrobe after...) They brought these dresses onto the Harvard campus for a pop-up shop. They let the students try on the dresses, which would hopefully result in them renting them. The second time they did this, they hung the dresses up but told the interested students that they could NOT try them on - they had to decide whether or not to rent them based on just eyeballing them on the hanger. They wanted to see how this changed people's willingness to rent. For their third test, they simply sent PDFs of photos of the dresses to people to see how many they would rent from just looking at photos. Obviously one thing led to another and Rent the Runway came to life. They started in 2009, and have grown to over 1200 employees. Back in 2009, the only subscription type service was Netflix. She pointed out how nowadays, our culture has changed from own to rent - now there are services like Spotify and Uber and AirBNB. 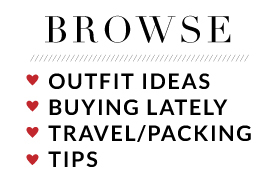 I didn't realize that Rent the Runway now has a subscription service called Unlimited. It's $159 a month. You choose 4 designer pieces and can swap as many times as you want during that month so long as you had a total of no more than 4 pieces at a time. They come in sizes 0 to 22. Jennifer mentioned that on average, every piece of clothing in your closet is only worn twice. So. You're able to try new things and without buyer's remorse or a closet full of clothes you never wear. I dunno. This sounds really intriguing to me, and I may have to try it out for a month or two. We will see. Another thing I learned about Rent the Runway is their philanthropy. Once a piece starts looking less brand new, they are donated to women in need. On top of that, there is also a foundation called Project Entrepreneur which helps female entrepreneurs build their businesses. She wants women to not only have that Cinderella moment in the perfect dress, but also in the workplace. Her answers to a couple of questions also resonated well with me. The first was how they deal with conflict at their office. 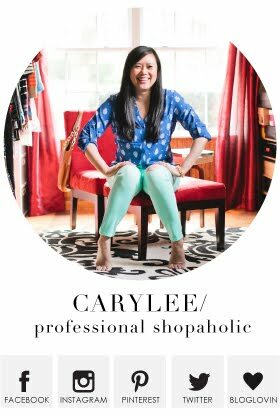 First, she explained that she personally interviews every person that gets hired at Rent the Runway. That's kind of a big deal - interviewing with the CEO regardless of your position! She said she makes it a point to tell interviewees that she wants to hire someone that WILL disagree with her. She encourages conflict because oftentimes the chaos of conflict breeds creativity. She wants new ideas, she doesn't want someone that will just agree with her. She said in meetings, when there aren't enough discussions or disagreements, they will ask questions to purposely inspire debate. I definitely want to try and apply this thinking to my real life job! And lastly, someone asked her how she handles being told "no." Jennifer said to not let no be the end of the conversation in the workplace. She said that when she first met with the CEO of Oscar de la Renta about partnering with Rent the Runway, he said hell will burn over before he ever decided to work with them. He was concerned about cannibalizing his business and didn't just give her a no, it was a big fat HELL NO. She continued to keep in touch and check in with him despite his response, and although it took a good 3-4 years, Oscar de la Renta is now one of their biggest brand partnerships. Not to mention that DVF now claims that Rent the Runway was HER idea even though she initially told Jennifer she hated it. Ha! I love it. One more thing! The note that I wrote down in all caps that she said was, "Is this idea worthy of me?" Since I've been so pensive about this blog and where I want it to go and how much time I want to spend on it, that question really hit home with me. Is this blog worthy of me? Is this post worthy of me? If the answer is no, I should never be doing it. Only do what makes you happy. What you are passionate about. And that is everything I learned from her. Hope you picked up a few nuggets yourself!! This is sooo inspiring, I needed to read this today you have no idea. Aww! I hope everything is ok! But yes! I loved hearing her story. I soaked up every word! It was fascinating! Ha! That’s why I had to blog about it ASAP because I would forget all the details and I really wanted to document them in this case. I was super engaged with everything she had to say. She legit had to go to Urgent Care right from the stage (poked her eye with a tweezer!!!!) or else I would have loved to meet and talk with her.